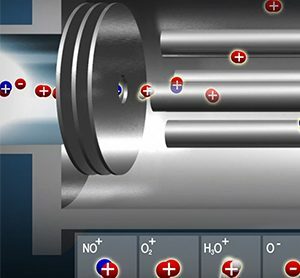 This ground breaking technique emerged out of investigations of ion chemistry in the Earth’s atmosphere, and other planetary atmospheres, and was developed further at the University of Canterbury in New Zealand. In 2002, Syft Technologies was formed, providing sufficient funding to take this academic research into a fully developed commercial solution. Now Syft instruments are sold throughout the world, in a wide range of applications as diverse as mud logging, to cutting-edge breath research. In all applications the unique attributes of SIFT-MS have enabled our customers to measure significantly more than they thought was possible, resulting in a greater understanding of their products. Providing customer solutions is at the core of Syft Technologies. We employ a vibrant team of chemists, physicists, mathematicians, and engineers, who enable Syft to provide customized solutions for our customers. This is the reason why every Syft customer speaks so highly about Syft, and why most make repeat purchases. 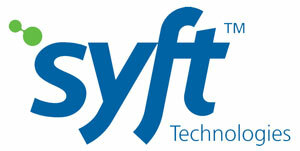 Contact us to find out more about Syft Technologies and how this innovative technology can help your business. 1525 Park Manor Blvd Suite 272.